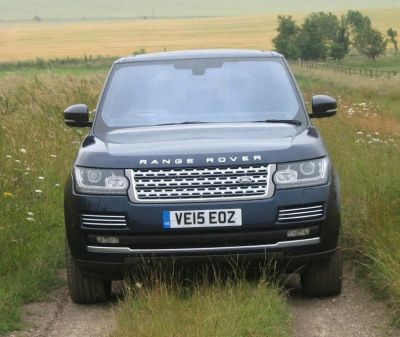 We are spoilt for choice when it comes to choosing a competent 4x4 off-road class vehicle but that choice narrows considerably if one is looking for a seriously classy vehicle of this type. It is more than 40 years back that Land Rover came up with the notion that it could combine the renowned off-road abilities of its Land Rover products with more than a touch of English interior appointments. The product quality of the latest (model year 2016) example I have been driving is that of a luxury class car, equipped with about everything available in automotive gadgetry, tastefully rather than extravagantly furnished and majoring on high levels of occupant comfort. Yes, there is plenty of leather though woodwork is now mainly optional, either replaced by high quality man-made materials like polycarbonate and bright metal and perhaps Englishness has been superseded by an interior ambience directed to multi-national users, albeit one with larger than average sized wallets. That said there is plenty of Land Rover DNA! Early Range Rovers, powered by V8 petrol engines were not the most frugal vehicles and though the current line-up include some big capacity V8 examples, the creation of a diesel powered range, as in the test example, with a powerful yet refined 3.0-litre turbo engine proves that the 13 mpg I achieved on my first road test of the original Range Rover has now shot up to somewhere in the region of 30+ mpg depending on what, where and how you are using the vehicle. There is even a Stop+Start system to cut emissions and fuel use when not on the move. Quoted emissions are 196 G/KM, rated as a Euro 5 rather than EU6 which obviously bumps up the VED costs. Access into this larger than life vehicle is easier for the tall of stature, a bit more demanding for the shorter types though I know there is an optional powered running board available. However, once in that very comfortable driving seat one has the feeling of being in command. With a power output of a massive 258 bhp and with drive going to all four wheels via an 8-speed ultra responsive automatic gearbox it is more than a satisfying drive. Drivers of other cars may well accuse the Range Rover of being a bit of a lump on the road, the actual drive has the feeling of a compact car, admittedly an immensely refined one. Feel and response though all the controls create an impression of being at one with the Range Rover, the ride is smooth and very well insulated, capable I suggest of driving on rough country surfaces or farm tracks at a safe feeling 50 mph - I know I had to take avoiding action when a motorway pile-up erupted not far in front of me and thankfully there was room to off-road in the grass at still quite a pace with impunity. Tipping the scales at 2,160 kg it is no lightweight though it drives like one and provides excellent driver vision thus making for a very satisfying driving experience, enabling the power to be optimised with existing limits. The makers claim that it is good for 130 mph and will reach 60 mph in an impressive 7.4 seconds - that’s the sort of performance that was par for a competitive sports car not so far back. Whether the user ever employs the height adjustable suspension or tests the wading depth of 900mm is hard to gauge, perhaps easier is judging the benefits of the non-opening panoramic sun roof, warming their fingers on the heated wood and leather finished steering wheel or inviting the passengers to enjoy the TV system. There is plenty of room for five full size adults in extreme comfort plus a good selection of full size suitcases while allowing space for a full size spare wheel. The tail gate is powered and can also be operated by simply placing a foot under the rear of the vehicle (either side) if one has the hands full with luggage /shopping etc. They call it a Gesture Tail Gate! The modern Range Rover has certainly evolved into a serious challenger to the established luxury class saloon to the degree that its credentials are appreciated by what the car dealers in earlier years dubbed the ‘landed gentry’. It certainly fits the bill. Price From £91,550 - as tested £96.500. “NO SPEED LIMIT” by Stuart Bladon". If it is memories of cars you might have owned, loved or hated or cars that you listed after but never owned, then this book, chronicling significant car tests by ex-Autocar scribe Bladon is one not to miss. Most chapters major on one particular car, tested to the extreme not only in the UK but in all sorts of places around the world. One even on a ski slope in winter! Like myself, Stuart was fortunate to undertake many of his road tests, dating back 60 years, on UK roads before the blanket 70 mph speed limit came into existence and traffic was much lighter. Having co-driven on many tests in more recent years with the author, it is evident that he enjoys speed combined with ultra safe driving and with a high degree of mechanical feel - he is in the Guinness Book of Records for achieving 1,338.1 miles from one tank of fuel in an Audi 100.